Registration to win a Seemore Putter is open ... See More till Midnight PT/3am ET Sunday, December 23 at golfsmarter.com/giveaway. The winner will be announced by random drawing at the end of each new episode. Some restrictions apply, see details on our website. This is your last chance to register to win our final prize to be announced on the episode of December 25, 2018. Go to golfsmarter.com/giveaway. The final deadline to register is this Sunday, December 23, 2018 at Midnight PT/3aET. This episode is brought to you by our partner TWG! 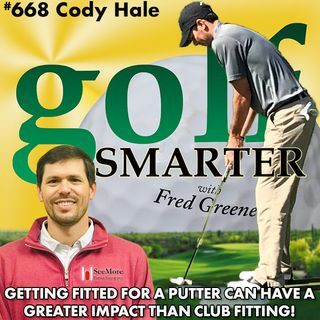 Get an extra 20% off apparel with the coupon code “golfsmarter” at checkout. See the great selections at TGW.com/golfsmarter. Some exclusions apply. Excludes all Titleist, FootJoy, Under Armour items and select NIKE items. Cannot be combined with other discount offers. Due to manufacturer policies, some other items may also be excluded. Ends 2/5/19 at 11:59 PM CT.